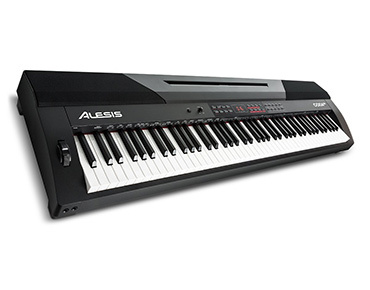 The best digital pianos and accessories reviewed. This guide will help you choose your best digital piano under 500 dollars. To do that, we listed the top features of each of these 10 affordable digital pianos together with their strengths and weaknesses. The final point talks about all the aspects you should consider before making a decision. Some of these are amplification, price, polyphony, and others. Before we get into the reviews of all 10 products, here is a comparison table of the top 5 best digital piano under 500 dollars. This will help you visualize the quantitative aspects of each keyboard and enable you to make easier comparisons. 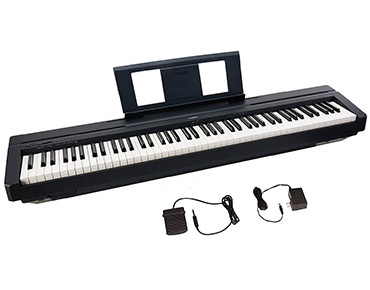 The first recommendation for the best digital piano under 500 dollars offers built-in 2-way speakers that allow for MP3 input. It also allows connectivity to other electronic devices via USB. At only 8.6 pounds, it is incredibly portable and easy to move. Starting at an extremely low price point with few features, this is a great choice for beginners. There are only 61 keys so more advanced pieces of music may be impossible to play correctly. The volume switch is so sensitive that simply playing the keyboard causes the volume to increase. Due to the sensitive volume switch, the built-in speakers can easily blow out and/or lose their sound quality if you are not careful to keep the volume down. Speakers for MP3 input. 61 keys only. 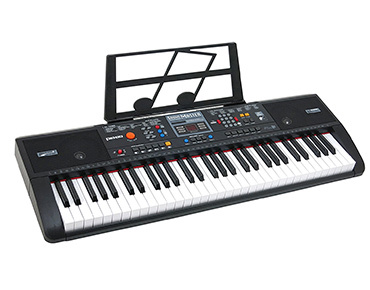 This Hamzer selection might be the best digital piano under 500 dollars for beginners who are content with a decent number of 61 keys. It offers an integrated learning system to teach the basics of piano playing as well as a headphone jack for silent practicing. On the other hand, you must purchase a power adapter separately. The keys are not weighted, which allow for a toy-like feel. 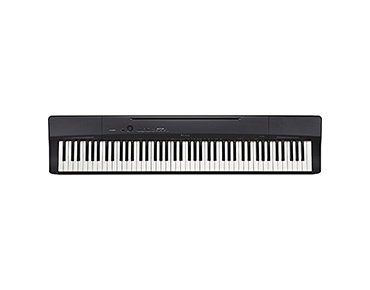 Along the same vein, the keys are smaller and more closely set together than on a standard 88 key digital piano. Therefore, this setting would be great for children but not as much for adult hands. Great keyboard for starting up piano lessons. Doesn’t include power adapter. Comes with teaching system. Keys not weighted. This piano is the best digital piano under 500 dollars for beginners due to its inexpensive price tag and USB computer connectivity. It offers a 48-tone polyphony and 76 keys for a wide range of notes. Moreover, it comes with a power adapter. The keys are not weighted, which do not allow for a true acoustic piano feel. There is no Mac computer support either; this keyboard is only compatible with Windows operating systems. USB connectivity. Incompatible with Macs. Comes with useful accessories including stand, headphones, music sheet holder, and power adapter. The unit needs a quality speaker system for a perfect sound. There are 600 different decent tones, 180 rhythms, and 152 strings. 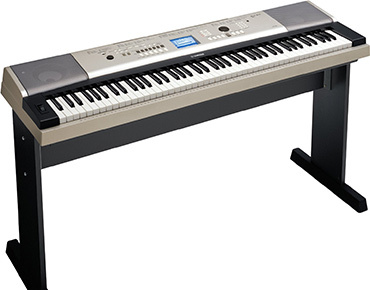 This Yamaha choice is the best digital piano under 500 dollars for any skill level. 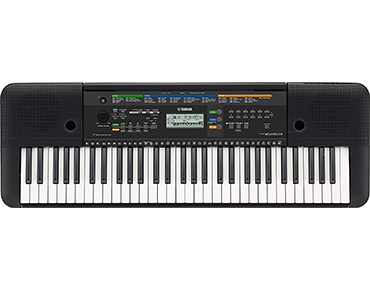 It offers 76 semi-weighted keys and 6-track recording. On top of that, it is Mac and Windows compatible via USB connection. Included in the package, there is an educational suite on CD-ROM to help new players learn the basics. Additionally, there is a headphone jack for silent playing. However, there are only 76 keys instead of the standard 88 which can hinder more advanced pieces of music from being properly played. The keys are only semi-weighted which do not allow for a true acoustic piano feel. Mac and Windows compatibility. Semi-weighted keys. Well-positioned buttons that feel soft to the touch. This piano has all 88 keys with hammer action just like an acoustic piano. It offers built-in speakers and USB computer connectivity. It is lightweight and easily portable for travel convenience. On the other hand, the speakers are not very loud. Therefore, additional amplification is recommended if you are using it for a concert setting or in a large space. Moreover, the unit turns off after 30 minutes of inactivity and does not save the current settings when it does so. This can cause a player to have to reset everything to specifications should the unit shut down. Weighted 88-key keyboard. Needs the power of an amplifier. Includes wheel for pitch bend. Has only 20 voices. Harmonious sound right out the box with no special settings. A product overview is available on YouTube. Note: This product is temporarily unavailable in online stores, but we will update this article as soon as it comes back in stock! This is a great piano for beginners due to its small size and low price. It has 88 semi-weighted keys and has a headphone jack for ease of playing when no one else wants to hear it. It also includes a 3-month premium subscription to expert interactive online piano lessons via Skoove. 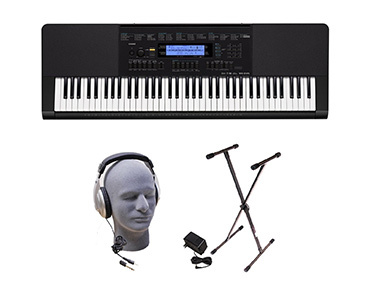 All these, plus the fact that it’s a best seller in the digital pianos category, make it a candidate for the best digital piano under 500 dollars. On the other hand, the built-in 20W speakers are not the best quality – they often crackle and do not project sound as well as other brands. The keys, although semi-weighted, feel cheap and not like those of an acoustic piano. Great starter pack for beginners – includes 3 months of premium subscription to Skoove plus other perks. Top notes tend to lose their intensity. Portable with USB MIDI connection. Standing at the top of our price point, this piano is an excellent choice for mid-level or expert pianists. It offers sound layering, digital recording, and a crisp, clean sound. The keys are weighted for an authentic acoustic feel while the entire unit is easily portable for traveling. Nonetheless, coming from a pricier model touted for higher-level players, the keys are not as reactive as other brands. When it comes to more advanced pieces of music, when the keys are quickly played, the notes may sound unnatural. Wide range of features with crisp sound. Keys might be noisy. Backed by a 3-year warranty. 88 weighted keys with 18 piano tones. At just a little over 10 pounds, this is the best digital piano under 500 dollars for portability and the third best overall. The low price tag is amiable as is the overall sound quality of this beginner’s model. On top of that, owners get a 32-note polyphony, Aux Line Input to connect it to any other musical instrument, duo mode for piano lessons, and more. On the other hand, the 61 keys are not at all weighted, offering the feel of a toy rather than that of a real instrument. Moreover, this keyboard also has sound projection issues, leaving a need for higher amplification in recital or concert settings. Lightweight. Only 61 unweighted keys. Comes with over 200 tempos, 758 voices, and 30 songs. Faulty sound projections. Interested in more options for beginners? Check out our collection of the best digital pianos for beginners in 2018 and pick your favorite! The sound quality of this keyboard is amazing, which is why we think it’s the second best digital piano under 500 dollars. The projection of sound coupled with its piano-like tones offers a pleasing audio experience for anyone listening. Thanks to its LCD screen, piano players get to stay updated to live lyrics, notations, and chords. The keys are weighted for a real piano feel while the reactivity of them is superb – which is perfect for those playing more complicated and lively pieces. On the other hand, its portability is cumbersome at nearly 40 pounds. Nonetheless, users can place it near a PC to tap into its full educational power to add online tracks to its in-house 30-sound library and benefit from Yamaha Educational Suite. Realistic premium voices. Some keys might produce an unpleasant click. If weighted keys are essential to you, also check out our collection of the best digital pianos with weighted keys! This is, by far, the best digital piano under 500 dollars this year. 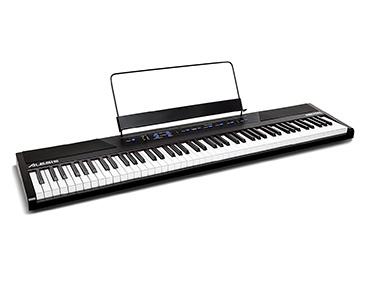 It boasts fantastic sound quality from its 88 weighted keys and is a great keyboard for beginners and experts alike. It is portable, easy to set up, and projects sound with ease. Behind quality sounds stands Advanced Wave Memory Stereo Sampling feature. Instead of an overwhelming number of knobs and wheels, there’s one button at the top. This part alone can change sound effects, activate metronome, and more. However, the construction of the keys is a bit delicate. They feel like they are about to break if you are not careful with the keyboard in transit. Ideal for both beginners and experts. The following is a list of criteria that should be considered when purchasing the best digital piano under 500dollars. Believe it or not, some digital pianos can cost every bit as much (or more!) than their acoustic counterparts. For the purposes of this article and reviews, every digital piano mentioned is available for under 500 dollars, but start off at a little over 100. Nonetheless, just keep in mind that more expensive models do exist. These models usually come with extra features. Part of what makes digital pianos appealing to people is that you can pick them up and take them anywhere. However, despite their compact and lightweight designs, some are more portable than others. This is a huge factor in deciding what model is right for you, depending on your need for mobility. Some digital pianos are just instruments to play while others offer more than just one function. There are keyboards with headphone jacks for silent practicing (ideal in a dormitory, apartment, or family settings). At the same time, you can choose from models with built-in recording capabilities, and some that offer computer connectivity tools like USB and Bluetooth. In general, those with more experience will want something more versatile while beginners just need a basic set of features to learn how to play. As mentioned above, those with more experience are likely to need more bells and whistles when it comes to choosing a digital piano. Beginners can get away with smaller keyboards that don’t offer as many of the “fancy” functions (recording, MIDI ports, multi-note polyphony, and the like) because they merely need to practice. The heft of an acoustic piano key is undeniable – this is due to the inner mechanics of the piano itself. Pianists of higher skill level often wish to mimic the weight of such keys when choosing a digital piano. This makes the weight of the keys an important purchasing factor, and this feel alone can make or break a purchase decision. 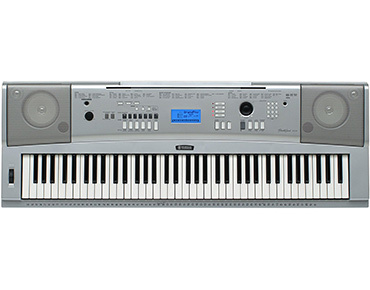 Digital pianos often come with weighted or semi-weighted keys to offer the acoustic piano feel, but some do not. This does not affect functionality. Polyphony refers to how many tones can be heard at one time. For beginners, this isn’t as much of an issue as it is for more advanced players. Digital pianos have adjustable volume, but the max volume might not be enough for some. It is important to acknowledge what you’re using the piano for in order to decide what kind of built-in amplification you may need. For instance, if you’re planning on using your digital piano in a concert setting, you’ll want to invest in a good amp system. However, if you’re just using your digital piano as a way to practice at home, the in-built speakers will do. Overall, there are many wonderful keyboards for pianists of any skill level to choose from. 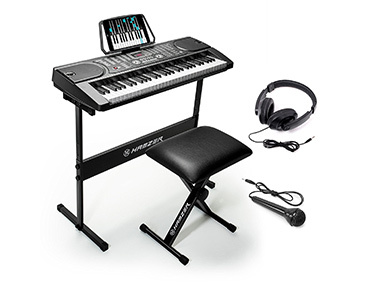 When taking into account factors like cost, portability, versatility, and key weight of a digital piano, it is clear that the top 10 are the ones listed above. Do you have a favorite that didn’t make the cut? Please share your thoughts in the comments and help other music lovers discover the best digital piano under 500 dollars!